Supercritical Fluids are now widely accepted for Extraction, Purification, Recrystallization, and Fractionation operations in many industries. The technology is used to process hundred of millions of pounds of Coffee, Tea, and Hops annually, and it is increasingly becoming of common use in the Pharmaceuticals industry for purification and nano-particle formation. Supercritical fluid processing is also gaining in the Botanicals, Vitamins, and Supplements industries, where they are becoming synonymous with the highest purity and quality. Supercritical fluid extraction is far more efficient than traditional solvent separation methods. Supercritical fluids are selective, thus providing the high purity and product concentrations. 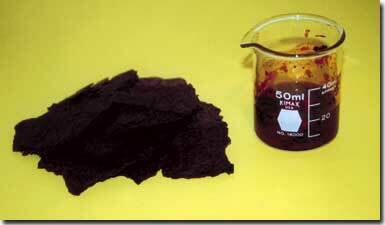 Additionally, there are no organic solvent residues in the extract or spent biomass. Extraction is efficient at modest operating temperatures, for example, at less than 50 degrees Celsius, thus ensuring maximum product stability and quality. Supercritical Fluid extraction is the most efficient separation method for the Nutraceuticals market. 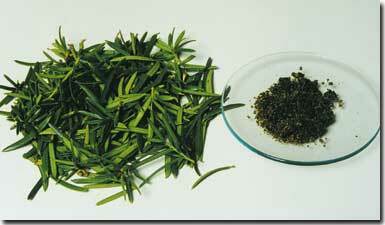 It is capable of providing the highest purities and concentrations attainable. Typically, traditional organic solvent separation yields are high, but if heptane or methylene chloride solvents, for example, are used, there are almost assuredly trace solvents present in the extracts. Supercritical fluids provide organic solvent-free concentrated extracts. See for yourself: maximize your product yields, minimize your contamination, and ensure the highest purity and quality with supercritical fluids. 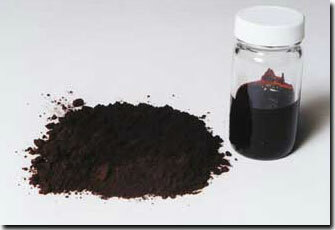 Organic solvents such as acetone and hexane have been used industrially for the extraction of astaxanthin from microalgae. The concentration of astaxanthin in these extracts, however, is limited because liquid solvents cannot differentiate between the lipids and the carotenoid. Much higher astaxanthin extract concentrations are achievable with supercritical fluids because of the ability to tailor their dissolving power (by tuning pressure). Lipids and carotenoids respond differently to supercritical CO2 and can be selectively separated, resulting in an extract high in the carotenoid. The photograph shows a microalgae feedstock and a 14% astaxanthin concentrate. The table below gives some results from selected plant runs at Phasex using supercritical fluids compared to product typically obtained by acetone extraction. Supercritical fluids are similarly applicable for the production of other concentrated carotenoid extract: Lycopene, lutein, zeaxanthin are typical of carotenoid compounds obtained from botanical substrates such as tomato, spinach, corn, and marigold. Supercritical Fluid solvents are environmentally friendly and recyclable. Supercritical CO2 is certainly a Green Solvent - by far the most common supercritical fluid is gaseous Carbon Dioxide. By adjusting the processing pressure and temperature, the gas can act like a liquid solvent, but with selective dissolving powers. In the supercritical fluid phase, extraction concentration is carried out simply with changes in pressure, which results in a pure product fraction and a clean CO2 gas stream, which is completely recycled to the process. There are NO hazardous waste streams, NO harsh organic chemicals or residues, and the gaseous solvent is Recyclable. Supercritical fluid extraction of botanical and biological substrates has produced superior quality, solvent-free extracts with increased concentration and thus higher value. Phasex offers a complete package of Supercritical fluids technology services including Contract Research, Process/Product Development, Toll Manufacturing, and Technology Licensing. With more than 20 years of success, it is the world’s most experienced company whose business is solely the application of Supercritical Fluid technology to the development of improved processes and products. Phasex pioneered many of the industrial applications in use today and has developed and commercialized many products. The company is renowned for its technical expertise and innovativeness, its versatile facility, and its ability to rapidly optimize and scale-up processes. Its staff is regularly called upon to present at international symposia on supercritical fluid science and applications. Its new facility, operational 2nd Q 2002, will be the largest specialty materials processing facility in the U.S., and it will be able to carry out large nutraceuticals processing campaigns. Plant A (80 and 150L) plant will continue to handle smaller sized campaigns and also serves as a pilot plant for process optimization and validation. We grow with our customers' requirements, satisfying their needs at every point in the product evaluation sequence.